Stock market events are a great way to get insight in current market trends and future prospects in the world of trading and investing. You can learn some basic and advanced knowledge there from world's most reputable exhibitors. It is highly recommended to join investment summits close to your home or on the same continent, to cut down the traveling costs, if this is an issue. However, if you have the chance, you should also join some events over the sea; this way you will meet investors from other cultures, you will learn their thinking and all that can greatly help you understand why and how stock markets trend. Stock markets are a place where global audience is trading, while being different in their culture and perception of information. Most of trading events offer a lot of free lectures and materials, while you normally have to pay for top speakers, but this is something worth doing. We also advise you to speak to exhibitors individually, let them present you their products and services in detail, try to get some discounts or trial versions, if possible. Exhibitors often provide some bonuses to new customers only during the stock market events. 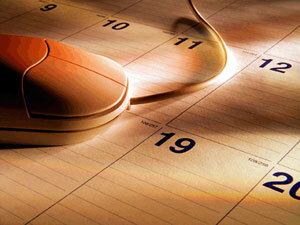 Do you organize a recurring stock market event and would like to inform global audience about it? No problem, just fill out the New Event form and once it is reviewed by our administrators' team and if it fits the inclusion criteria, we will publish it for FREE. However, we do appreciate if you could link back to this site as one of the valuable resources for upcoming stock market events. Disclaimer: The trade fair data that is listed is based on the information provided by the respective organiser. For this reason, no guarantee can be given for the correctness and the completeness of the information listings. No liability shall be assumed for damages that may result from incorrect or missing listings or for input errors. Particularly with respect to possible cancellations at short notice on the part of organisers and/or postponement or relocation of events, we recommend obtaining verification from the organiser as to whether the event will take place as announced. Did you attend any of these events in the past? Why don't you share the event summary report with other visitors. Following we briefly present each event in the stock market events calendar together with visitors and exhibitors profile, to make it easier for potential visitors or exhibitors to decide whether they should join the event or not. Investor forum for private investors from novice to professionals. Here, the supply of information about current trends and opportunities for private investment is paramount. Experts give various presentations throughout the day in Investmentipps and offer visitors assistance in making investment decisions. In addition to our lecture program will be an exhibition on the subject of private investment, which is another way of gathering information in personal interviews with banks, investment companies and other investment professionals. Brasil Investment Summit & exhibition is the executive forum for Brazil's funds industry. It is a must-attend event where Brazilian and international fund managers discuss the future of their industry and build their businesses in four days of education and networking. This is the region's only global forum for the hedge fund industry, where executives present on investment strategy, fund structuring and economic outlook. Stop guessing on your trades and come to The Futures & Forex Expo and learn ways you can confidently trade futures contracts and foreign currency to achieve the success you've been working toward! Compare trading systems, software programs, charting services, brokers, advisory services, and more in the exhibit hall. During workshops and special events, you'll have the opportunity to hear from some of the major players in futures and currency trading, hear about the strategies and effective tools that the experts use to profitably manage and trade million-dollar accounts, and meet other futures and currency traders and exchange ideas with them. Sustainable investments, commodities and precious metals, renewable energies, trading and CFD's, women's finances, ETF's, alternative investments, real estate, banks and brokers, asset managers, insurance companies, funds/real estate funds, certificates, quoted companies. Gewinn Messe is one of the most important financial fairs in Europe, optimal overview over the range of financial services, made to measure investment offers, extensive range of talks, presentations and seminars with top experts. Business owners, Start-up businesses, Potential franchisees, Private individuals interested in financial issues are the target visitors. Profile for exhibit include Investment counseling, Banks and building societies, Stock exchanges, futures market, brokers, Financial and economic information services, Financial consulting, Leasing, Franchise, Real estate, Internet services, Investment funds, Investor relations, Online trading, Old age pension schemes, legal and tax advicetelecommunication, trust, savings and investment management, insurance, securities advice, business media, specialist literature. Organized by Messe Stuttgart International at Messe Stuttgart, Baden-Wurttemberg, Germany, the Invest Stuttgart is emerged out as a pivotal trade fair for private an institutional investors of throughout the world. Among visitors you will find Township Decision Makers, Spaza shop owners, Shebeen owners, B&B owners, Small & Micro Traders, Local Government Officials, Provincial Government Officials, Government Agencies, NGO's responsible for SME Development, National Government Structures, Johannesburg Property Company Officials, Fund Managers from Blue Chip investors looking for development opportunities, Local township investors. Regarding exhibitors, the entire finance industry is represented at INVEST: Shareholders' representatives, Investment consultants, asset managers, Banks, saving banks, building societies, Stock exchange, information services, Joint stock companies Direct Broker, Specialist publishing companies, financial press, Financial service providers, Property companies, Investment clubs, Investment trusts, Insurance companies, Stock exchanges, Securities issuers, Auditing companies. Kapital finance fair is recognized yearly for privat investors as a fair of creating as well as of reaching the financial goals. Central Slovene financial event highly recommended to all those dealing with finance, accounting, senior and middle management, and others interested in the Slovene capital markets. It addresses several interesting and topical issues related to the capital markets. 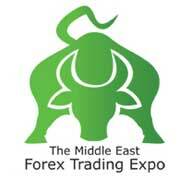 Under one roof, the Middle East Forex Trading Expo and Conference aims to provide individuals, retail and institutional investors, and professionals, the latest trading techniques, new trading tools & signals available, and choose among the trusted brokers that will help them in their trading habit to grow their investment portfolio and achieve short and long term trading objectives. It is the only event that attracts attendees from around the world. 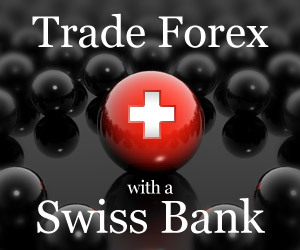 You will meet: Everyone interested in understanding the secrets of investing money in the right place and seeking out new opportunities in Forex trading. Exhibiting companies include: Forex Brokers & Dealers, Trading Platform Providers, Software Vendors, Forex Signals Providers, Educational & coaching institution for forex sector, Financial Advisory and consultancy firms, News and data providers in the financial market, Banks and other financial houses that offer forex trading, Forex Application Provider and Developer for Android phones and i-phones. Moscow International Investment Show is the international property business investment projects private banking services industry trade fair that will be a superb opportunity for you to present your products and services directly to a carefully selected audience of high net income prospective Russian clients. Trade visitors are professionals related to the field of financial planning, corporate finance, discount broking, training & other related products & industries are the target audience. Participants will be forward thinking companies that appreciate the opportunities in this rapidly emerging marketplace. Financial Advisors, Spread Betting and FX Trading, Private Retirement Funds, Investment Funds, Asset Management, Private Banking Services, International Property, Insurance Services, Exclusive Education, Franchise & Business Opportunities, Jewellery & Diamonds, Antiques & Memorabilia, Fine Art, Antique Cars, Classic Motorcycles, Wine, Whisky investment. Investor conferences showcasing top Slovene issuers take place across several European financial centres, where the companies present themselves through individual presentations and one-on-one meetings, and speak of their future business and development. The Traders Expo is one of the top notch events to be held in the industry of trading. This event provides a prefect business opportunity to its members. One will able to learn expert strategies for pulling profits from the market. This event provides the overall information of the market in the broader perspective. Every year thousands of traders visit this expo to enhance their business and to get an idea and knowledge of the leading markets. One of the unique aspect s of the Trade Expo is that it organizes the best displays for its exhibitors to display or to introduce their new products and services. Trading & Investing Expo is unique opportunity to access local and international experts across a variety of fields. Private investors, traders and other related industry professionals are the target visitors. Profile for exhibit includes Brokers, Software analysis platforms, trader, websites, Stock and Futures brokers, Spread betting companies, Analysis Systems, Training providers, Hardware sechnology suppliers, Data feed technology, Books and publications, Banks and other organizations. The Turkey investment summit holds lecture session on issues of major concerns which makes it very informative and unique. It has attendees from the field of asset/fund managers, investors, banks & prime brokers, law firms & consultants, technology, government, exchanges, fund services and many others. The experts from various fields focus on emerging investment opportunities, profiting in the equities market, the Turkish economic outlook, Islamic finance opportunities and many more. The Turkey investment summit conference brings the market leaders to discuss on enlarging the dimension on access to leading funds and investors, discover the latest theories for increasing returns, generate unparalleled new sales leads and partnerships. The World MoneyShow is one of the top most events offering the best knowledge for investors and traders. In the today's scenario, market is rapidly changing and there are various challenges which are faced by the traders and investors. Thus in order to keep pace with the latest market intelligence, safeguard your portfolios, and profit from opportunities that may only be available for short periods of time, there is a need of expertise in the concerned field and the pitfalls of the market. Thus to fulfill these criteria's and spread all over awareness, World MoneyShow is organized and addresses every aspect which is of great concern in the rapidly changing global markets. Investors and trading fair offering visitors the chance to get a combination of trade exhibition, conference and seminars, helpful hints about the subject area and trading. Numerous banks, online brokers, securities dealers and issuers, investment companies will introduce their latest products and services.